MEAL is a clinically proven, six-week mindful eating program*. You’ll learn an entirely new approach to healthy eating, weight loss, and stress reduction. The perfect diet for cancer patients and healthy nutrition have always been a hotly debated, controversial topic. A Mindful Eating Program: Answer to Obesity and Cancer? Mindful eating, obesity, and cancer. If you are not familiar with mindful eating, maybe it is time to familiarize yourself with this construct. 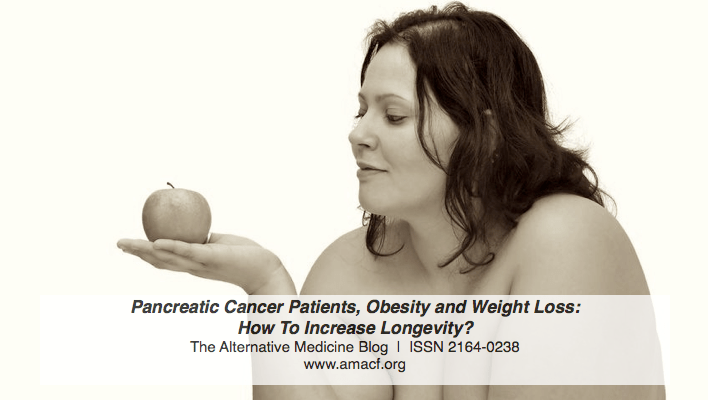 Pancreatic Cancer Patients, Obesity and Weight Loss: How To Increase Longevity? Can and should pancreatic cancer patients find ways to be physically active? A diagnosis of pancreatic cancer carries with it an often unfathomable prognosis. Pancreatic cancer patients face complicated decisions pertaining quality of life issues as well as life expectancy. For many pancreatic cancer patients, life prolongation becomes a principal issue. What I am going to report here is by no means a panacea that will fix all problems, but it might be crucial knowledge that sufferers from pancreatic cancer and their loved ones can wrap their heads around and work with. Seaweed is an important source of protein, iodine, vitamins and minerals and could have chemo preventive potential. Revealed… at least in the Petri dish1. We’ll get back to that in a couple of paragraphs. Cancer patients and their healthcare providers need reliable cancer diet information. How so? A recent paper published by Champ et al.2 highlights the predicament faced by cancer patients as well their primary-care physicians to find good, reliable information on diet and cancer. Skin cancer is the most common cancer in the U.S. Annually more than 2 million people are treated for basal cell or squamous cell skin cancer. Basal cell skin cancer is the most common form of skin cancer (National Cancer Institute, 2011).